Posted on July 14, 2017 at 5:27 am. Net Entertainment, one of the leading developers of online casino software, has released its interim report for the period between January and June 2017, showing positive results across the board. Highlights for the Swedish company for the first half of 2017 included an increase in revenue by 15.5 per cent, an increase in operating profit by 12.2 per cent, and a 9.6 per cent increase in profit after tax that amounted to SEK 258 million. In the first six months of the year, NetEnt also signed agreements with 21 new customers, 14 of which launched new online casinos. Results were just as positive during the second quarter, with significant events including a supplier licence being granted from British Columbia, Canada, NetEnt games launching onto the regulated Serbian market, and table games being introduced to customers in Spain. Four new NetEnt games were released, including Fairytale Legends: Hansel and Gretel, Copy Cats, Butterfly Staxx and Scruffy Duck. All four new titles were well received by online players and operators alike. The United Kingdom and Italy contributed most to NetEnt’s growth, with Great Britain being the largest market. 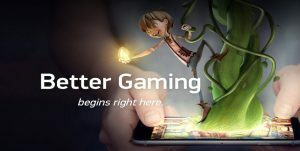 Profits were on the rise in Italy now that all NetEnt games go through licensed Italian gaming operators, while the company also saw fast growth in Denmark, Belgium, Spain and New Jersey. Mr Eriksson said NetEnt was working even harder to expand on the growing British market, while also putting a greater focus on the United States. It’s not just company figures that are proving successful – last month NetEnt won several awards in the coveted EGR B2B Awards in London, including Mobile Supplier of the Year, RNG Casino Supplier of the Year and an award for Innovation in RNG Casino Software. NetEnt has several new game releases planned, including the August launch of Emoji Planet, a branded game based on the popular emoji symbols used in digital communications. The software developer also aims to step up its live dealer offering, continuing to focus on mobile enhancements. This report comes after the finale of NetEnt’s innovative web series The Challenge resulted in an 86 per cent increase in job applicants. To see for yourself why NetEnt has earned a place as one of the world’s best developers of online casino software, head to one of our top-rated online casinos, Slots Million where you can try hundreds of NetEnt casino games directly over your Web browser with no downloads needed. Sign up to play these games for real money and you can get $100 in bonus money with 100 free spins to use on some of NetEnt’s most popular game titles.